"Although his full name is Oscar Blas Fernandez Mesa, he answers to the name with which Ernest Hemingway baptized him, Cayuco 'Jonronero.' From childhood, his friends always called him Cayuco which simply refers to someone with a large but not unattractive head. 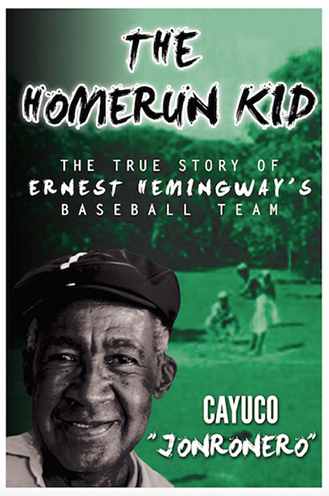 To that nickname, Papa Hemingway added the title 'Jonronero,' the homerun kid. Although born on Feb. 3, 1930, making him 85 years old, everyone at Museo Hemingway/Finca' calls him Cayuco 'Jonronero.' He is proud of that." edited and adapted by Brian Gordon Sinclair. Ernest Hemingway spent over twenty years of his life in Cuba. When Oscar Blas Fernandez Mesa first met him, he knew nothing about the man. The boy was told only that Hemingway was a great writer. Later, he would learn that he had written many books, traveled extensively and had fought in three wars. All the boy knew then was that it was 1940, and Hemingway wanted to organize a baseball team to play with his son Gregory. 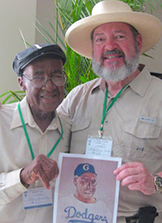 He would call it the Gigi All-Stars and Oscar would be a part of it ... a player whom Papa dubbed “The Homerun Kid.” This is the heartfelt memoir of the last remaining player on Ernest Hemingway’s Cuban team. Buy and/or Read More . . .